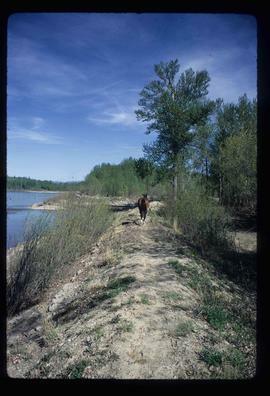 Image depicts a horse on Cottonwood Island. 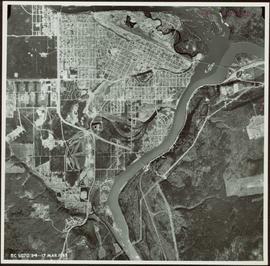 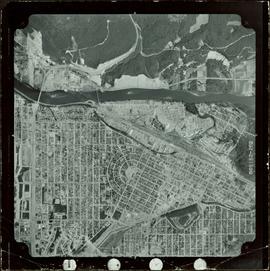 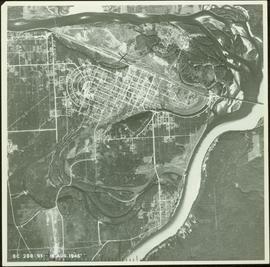 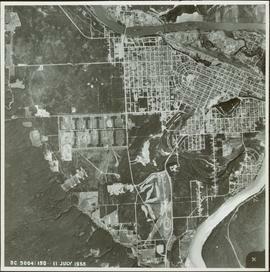 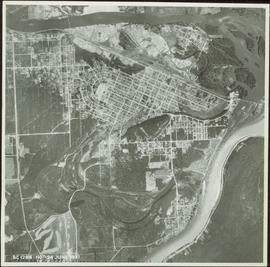 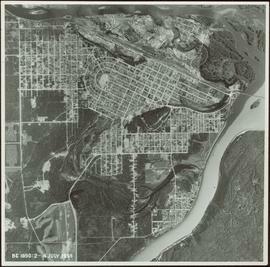 Item is a photograph of Prince George taken from the air on August 2, 1965. 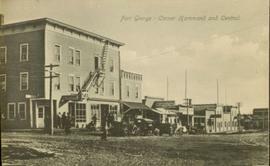 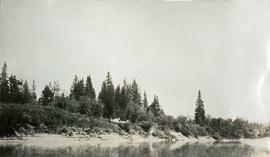 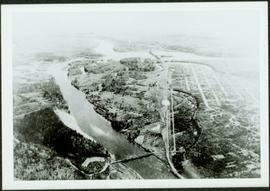 Photograph depicts a view of the river shore, a few scattered buildings and tents are near the shore. 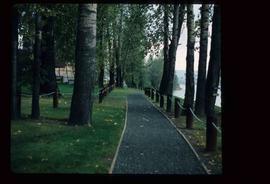 A footpath leads from the water's edge between the dwellings and through the newly cleared land. 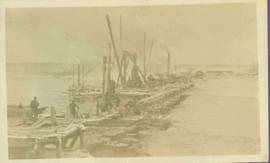 Photograph depicts twenty-eight or more people standing on the river's edge, a stack of wood is ready for loading on the steamer that is anchored near the shore. 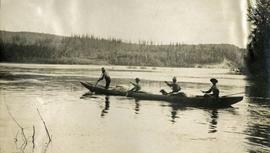 Photograph depicts four men paddling a long canoe. 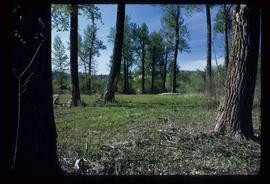 The canoe is loaded with supplies and a dog, river and forest in the background. 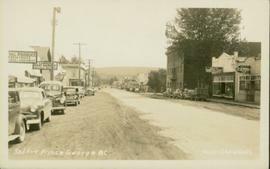 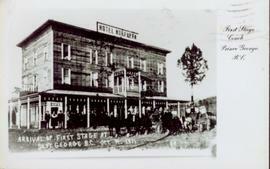 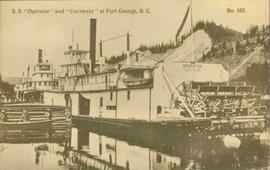 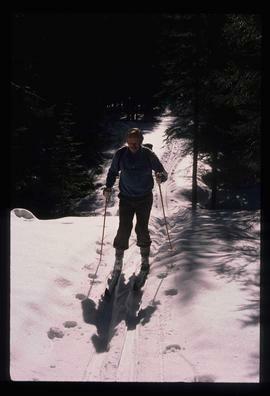 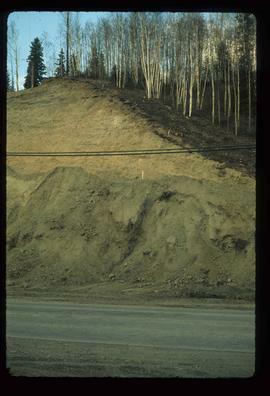 Image depicts a small slope on Carney Hill in Prince George, B.C. 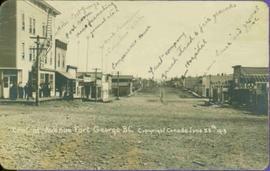 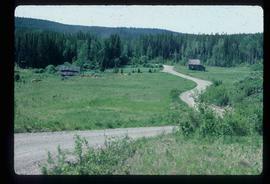 Image depicts miocene gravels on Carney Hill in Prince George, B.C. 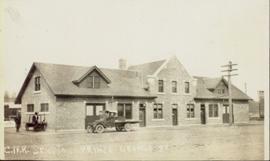 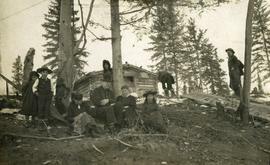 Photograph depicts six men standing outside a small log building. 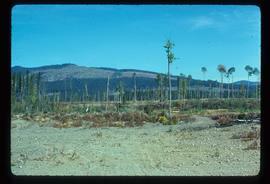 A sawhorse in the foreground, a tall pole "cache" and forest in the background. 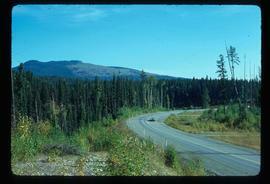 Image depicts a highway, and a section of mountain in the background which is bare due to clear-cut logging. 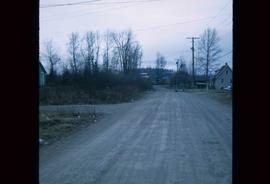 It is possibly somewhere near Prince George, B.C. 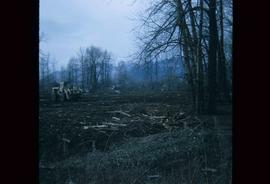 Image depicts a clearing at Island Cache. 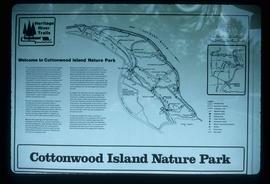 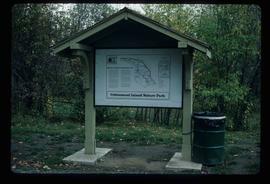 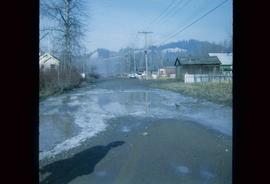 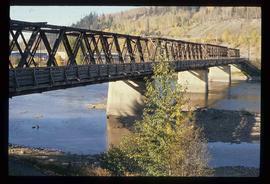 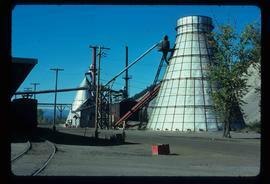 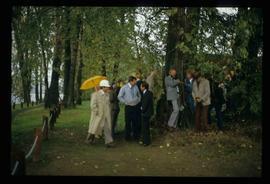 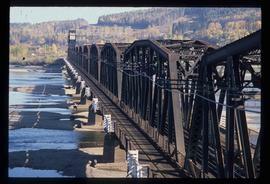 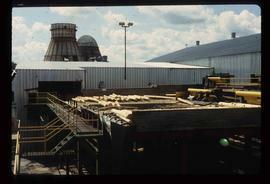 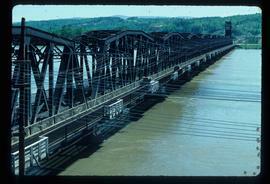 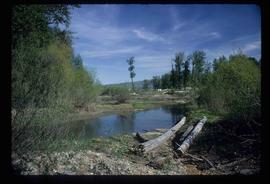 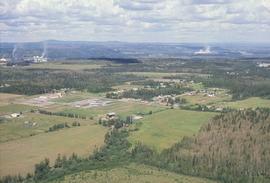 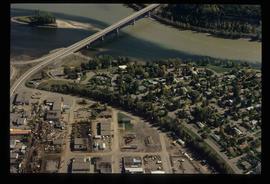 File contains slides depicting Cottonwood Island in Prince George, B.C. 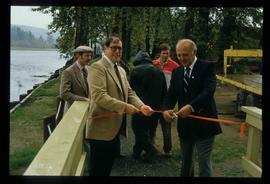 Image depicts Elmer Mercier, a former mayor of Prince George, B.C., cutting the ribbon to open Cottonwood Park's Heritage Trail.